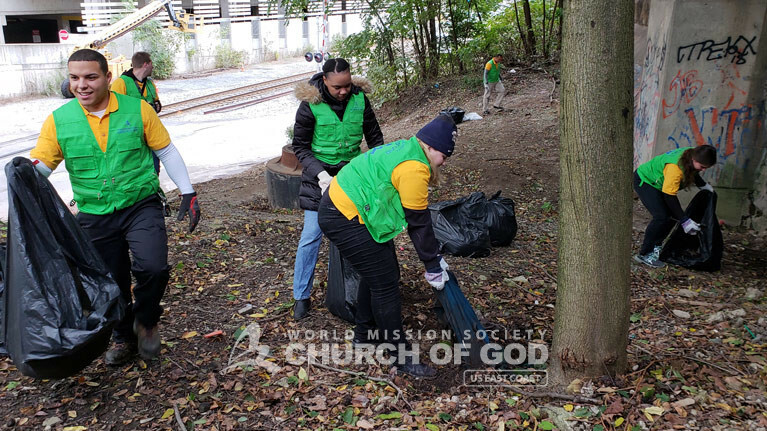 ASEZ (Save the Earth from A to Z) volunteers from the World Mission Society Church of God in Pittsburgh carried out a cleanup in Oakland, PA as part of the worldwide “Mother’s Street” campaign. The cleanup was also in cooperation with ASEZ’s “Reduce Crime Together” initiative being carried out by university students to make their communities safer. Research has shown that having a cleaner environment leads to a reduction in crime. Moreover, research also shown that young adults are more likely to litter than any other age group. Nevertheless, ASEZ volunteers strive to break the pattern by setting a positive example all around the world. 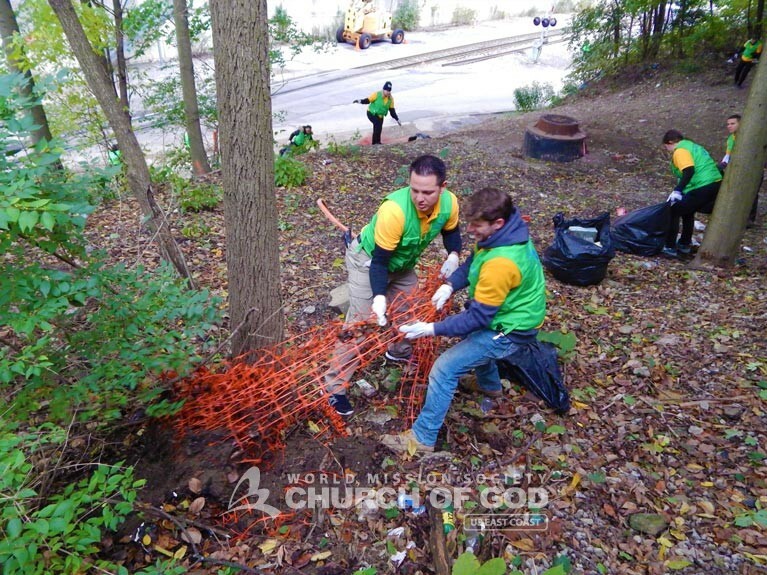 This is evident through cleanup events like the one conducted on the outskirts of the University of Pittsburgh. Pitt is generally a clean and safe university. The areas surrounding Pitt, however, are known to be much less safe. Consequently, ASEZ students hope that this will be the first of many cleanups to help reduce crime in the Oakland area. 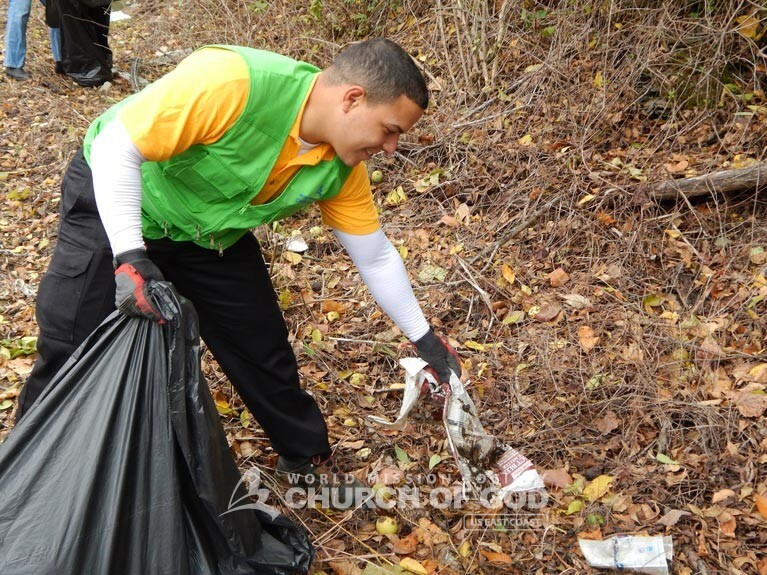 Over a dozen members from ASEZ and the Church of God cleaned up Boundary Street in Oakland on Sunday, October 21. The street has been the product of neglect for years, with trash piled up on both sides of the road. 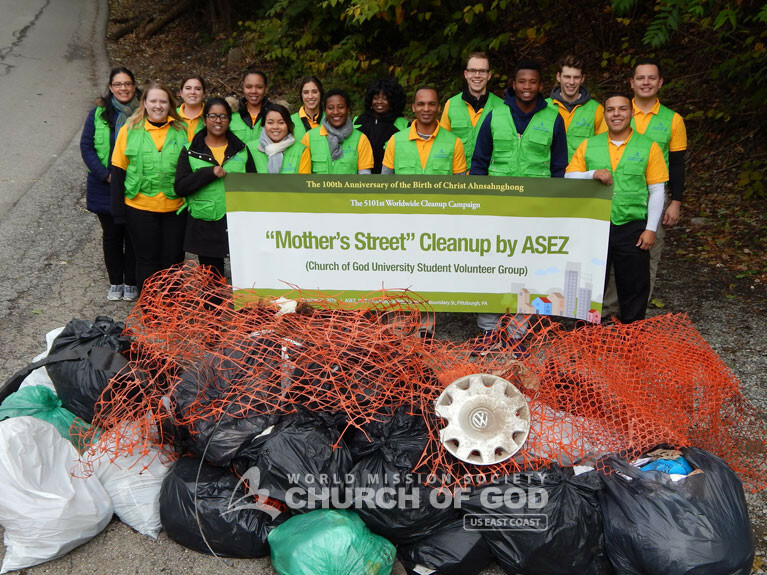 ASEZ worked with the University of Pittsburgh to organize the cleanup and select the location. 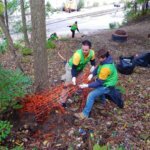 The cleanup was meaningful to ASEZ students as they had the opportunity to take part in cleaning a place that many consider their own backyard. The student volunteers collected bottles, cans, tires, construction debris, and various other types of garbage. By the end, the volunteers collected 42 bags of trash in Oakland. “This was a great opportunity to help promote peace throughout the world—through an environmental cleanup,” said Kevin Morales, an ASEZ representative. Everyone that came for the cleanup was excited to make a difference in the community and promote the well-being of the neighborhoods surrounding the University of Pittsburgh. In total, the cleanup only took up a few hours of the afternoon. However, in just a few hours, they got rid of years of trash. As a result, the appearance of the environment improved for everyone. ASEZ volunteers hope to set an example for their peers to participate in the worldwide movement and contribute to a safer and cleaner society. Contact us to learn more about ASEZ and how you can help. ASEZ volunteer picking up trash in Oakland, PA as part of the “Reduce Crime Together” initiative. Volunteers removing trash from the side of Boundary Street in Oakland while carrying out a cleanup in conjunction with Pitt. Volunteers from ASEZ worked diligently to pull out old construction material buried underneath the ground in Oakland, PA. It is exciting to see how Asez is taking the world by storm!!!!! Great positive impact! !